Robert Schleimer, PhD, has been named the winner of the Tripartite Legacy Prize. Robert Schleimer, PhD, chief of the Division of Medicine Allergy-Immunology and Dr. Roy Patterson Professor of Medicine, has been named the winner of the Tripartite Legacy Faculty Prize in Translational Science and Education. This award is presented annually to a faculty member who has demonstrated excellence in research that emphasizes translational approaches, teaching and mentoring and leadership. 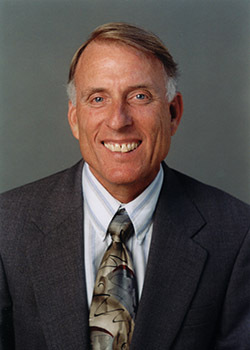 Schleimer began his career at Northwestern in 2004, after serving in a variety of academic leadership roles at Johns Hopkins University School of Medicine. During the course of his career he has published more than 300 papers and edited numerous books and supplements. He has also trained more than 40 post-doctorate fellows during his research career. While mentorship and research collaborations have been hallmarks of his career, so too has his leadership in the allergy and immunology field. Schleimer’s laboratory has received continuous NIH funding for more than 30 years. He has also received an NIH MERIT award from the National Heart Lung and Blood Institute, and presently holds a U19 Program Project grant. In his nomination letter, Robert Kern, MD, chair of the department of Otolaryngology – Head and Neck Surgery and George A. Sisson Professor of Otolaryngology highlighted Schleimer’s many accomplishments and prided him on his collaborative spirit. The prize will be presented during the 11th Annual Lewis Landsberg Research Day on Thursday, April 2, 2015.